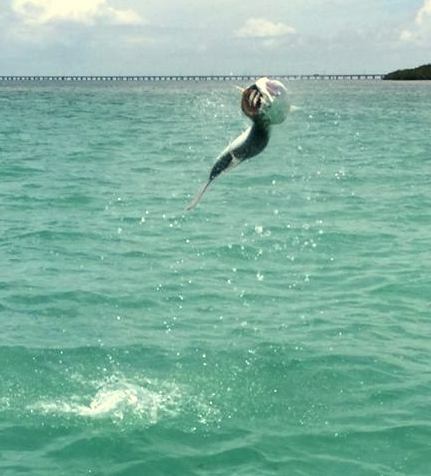 The one thing about having a fishing holiday in the Florida Keys you never know what is going to show up and that is even more so in the summer. 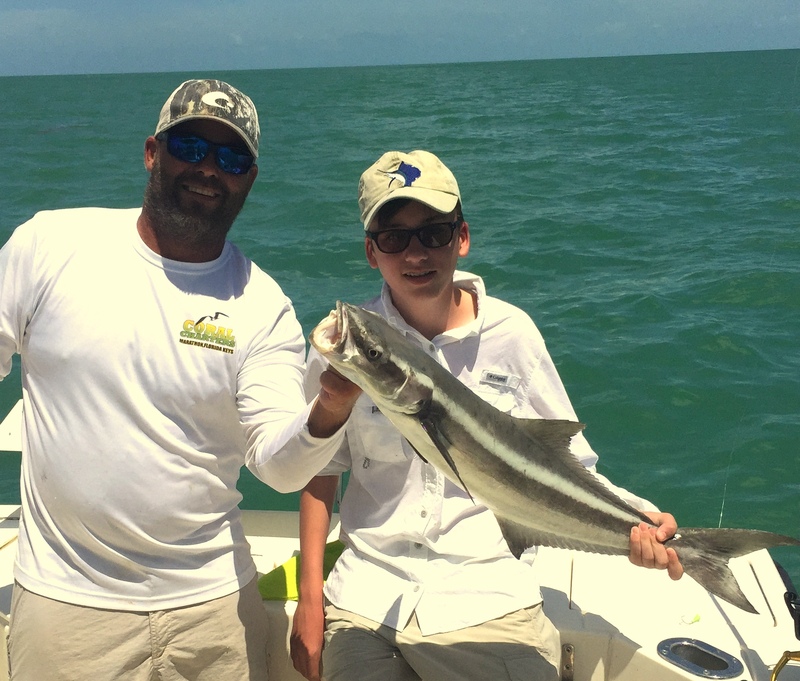 While we have had a fantastic winter sailfish season in the Keys during the summer there are fish which how would you say dont read the rule book. 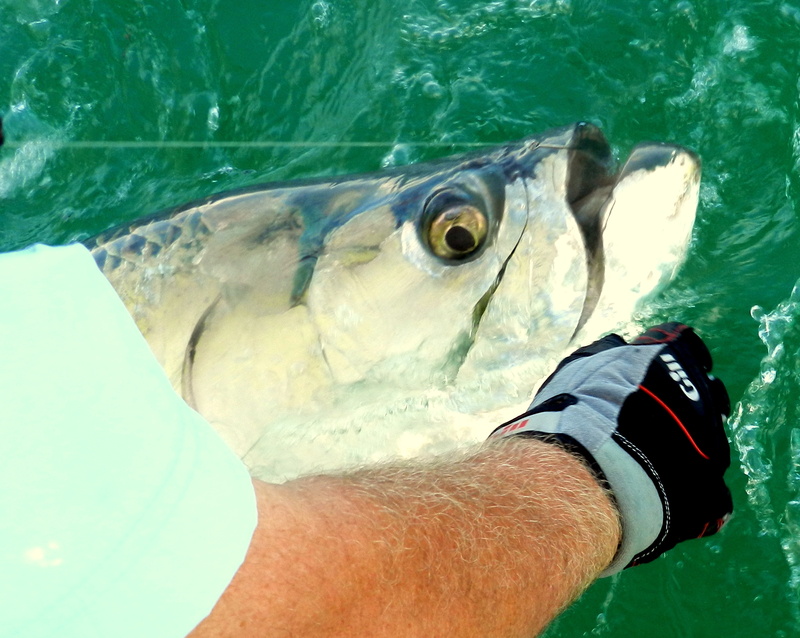 The big bonus of summer sails they tend to be on the big side to say the least and if you watch the video with this blog Capt Brent our summer skip even has a hard time getting this fish into the boat. 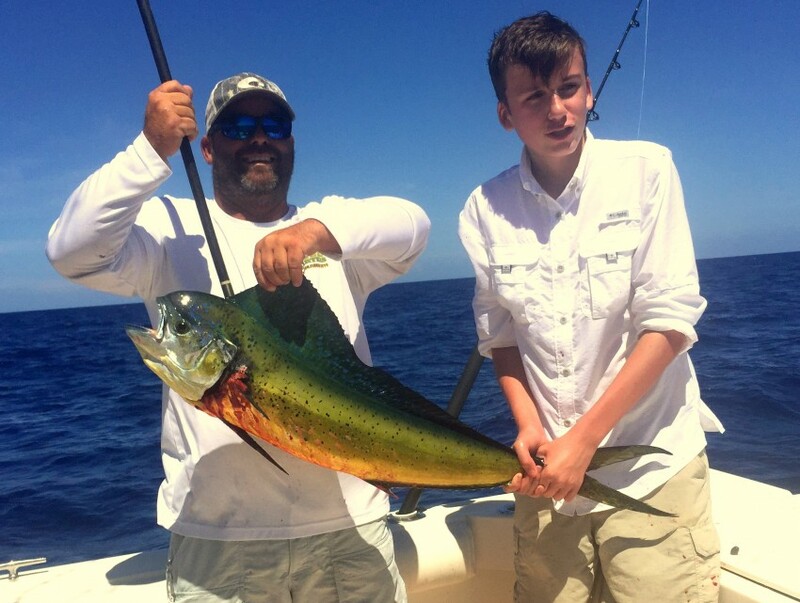 It was regulars the Keatings who were out last week only had a few pics back so a lot more to come on their trip but it was good to see Alan’s son with a nice dorado I know this was one fish he wanted Harry to catch. 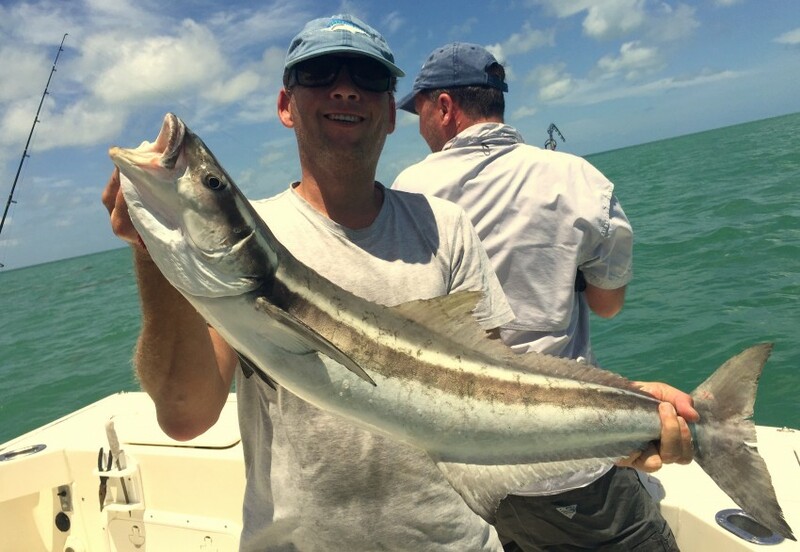 It also seems they found a large group off summer cobia and as all my regulars know not only fun on the rod but stunning on the plate. Getting ready for one of my summer trips loading new 4 lb line on reels and buying 16 and 14 hooks not sure why but they look a lot smaller than I remember back as a boy. 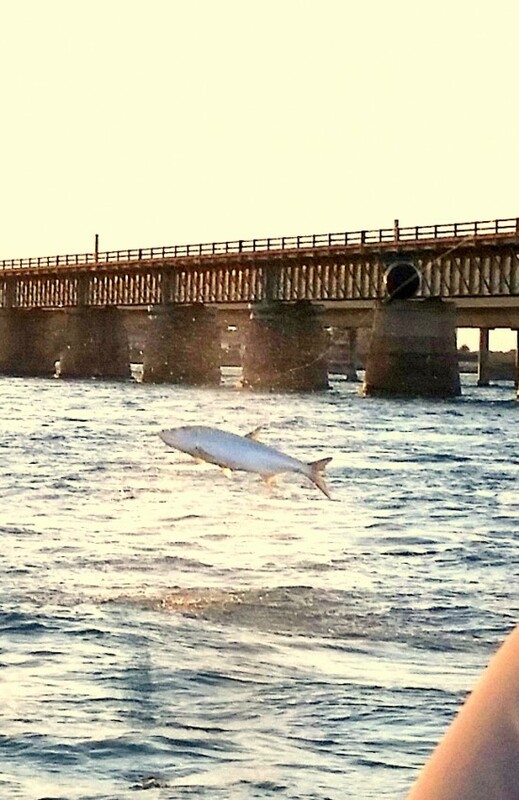 I am one very lucky guy to spend part of the year in Florida where 100 lb fish make daily appearances on my boat but the kid in me still likes to see a float gently slide away then the line tighten on a fish. 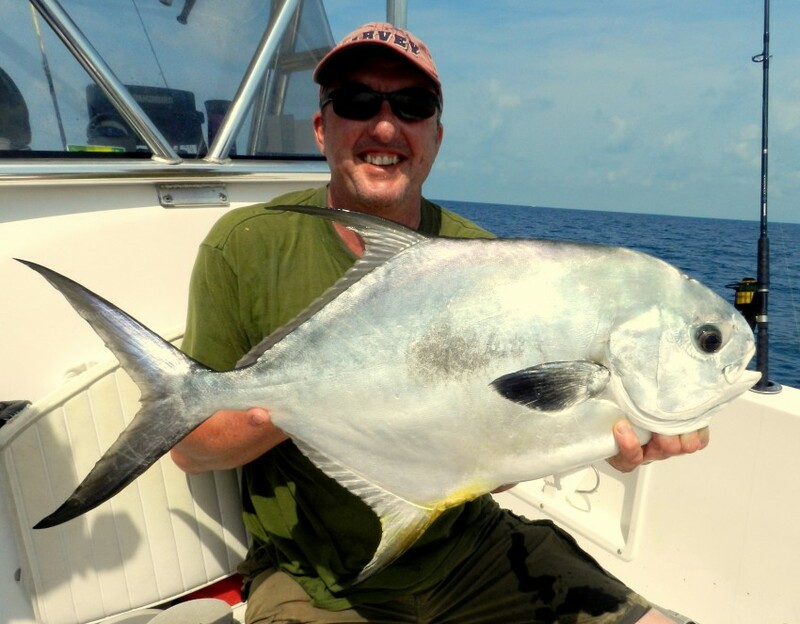 Well the quarry on my first trip are crucian carp I used to love fishing for then over 40 years ago they used to take freely and for their size put up a good fight. Might be a different matter on a day ticket water and I am going to Old Bury Hill lakes which I have looked up and have been fishing well. 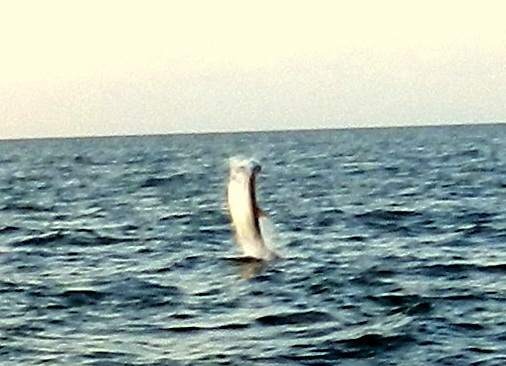 May not be sailfish, grouper or all my other normal big fish but guess what I am smiling already. Comments Off on Summer sails !! Did not see that coming !! Just need to put the record straight as there a few rumors flying about yes I did have a minor heart attack last week but all OK now. I was working out side on my new UK boat when heart rate went very high and very strange so inside checked it out I have a small machine rate was 136 and pressure of the scale. Called a friend and straight to a local A&E but after a few checks it was off to hospital and a major A&E they worked all night but were not able to control heart so booked in for an opp the next day. The good news my doctor said no knifes but what they were going to do was turn the heart off then hopefully shock me back to life rebooting the heart. Well it all worked fine just two small burn makes were the shock went in but alas no You Tube clip of me jumping back to life, I did ask a very pretty nurse. Every one is asking how I feel and the answer is just great, bring on the next 61 years yes I need to take some meds to stop it ever happening again but they said I was a very fit 61 year old and I dont drink or smoke so just carry on as normal. 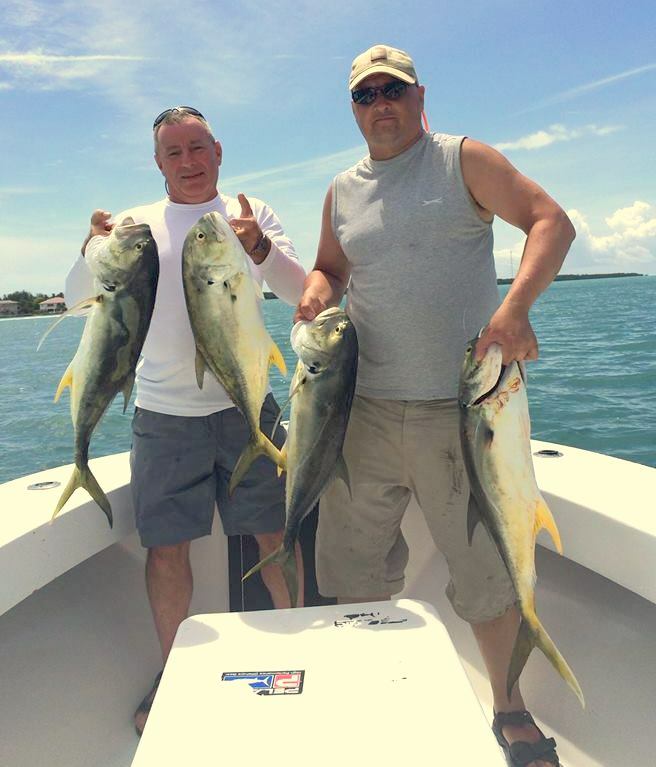 Fish the Dream Fishing Holidays in the Florida Keys would like to welcome local Captain and Guide James ” Bucko ” Platt to our list of Captains. 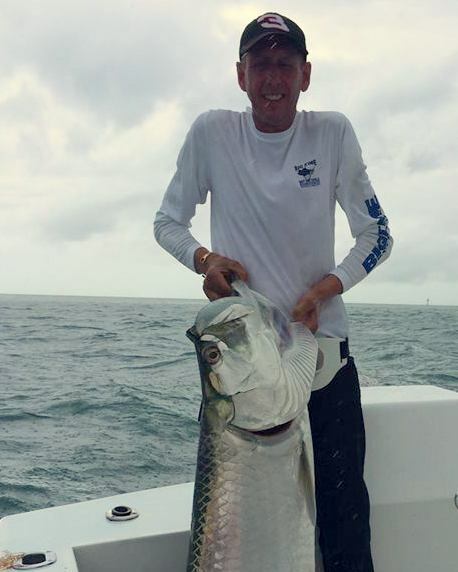 Bucko comes from a long line of local fishermen and is a top local guide who has become a tarpon star this year alone he has won not one but all three local Tarpon comps and the local joke is that if Bucko has entered the event see what they are paying for second as that all you will get. 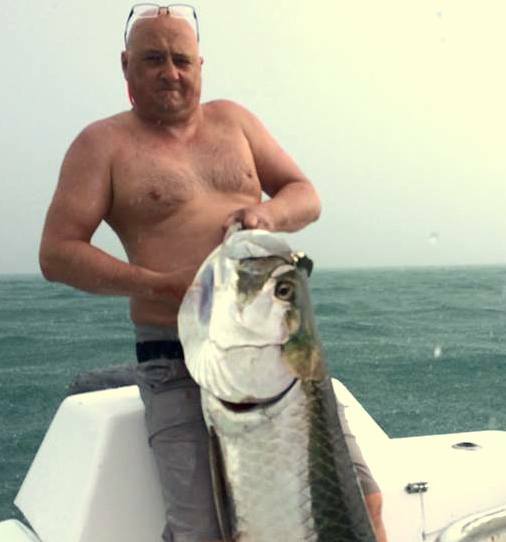 Last week he took out my party of Scots for two days and despite very wet conditions just nailed the tarpon all day long also killing the jacks and plenty of shark well done Bucko. So to sum up a very surreal time in my life I am more than OK my holidays are going from strength to strength all years long and it will take more than a heart attack to put this old dog down. Comments Off on Did not see that coming !! Well back in the UK for my summer / hurricane break and yes sorry yet again for the lack of blogs but there is a mountain of work to do before I go and there never seems an enough hours in the day. 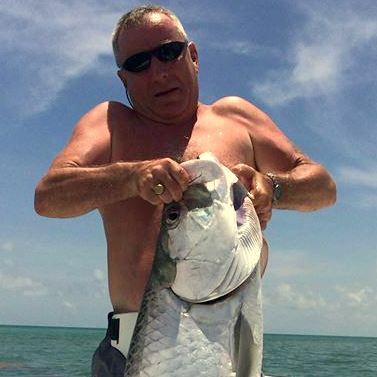 As I have said before and a lot of my regulars will know the fact I am in the UK our Fishing Holidays in the Florida Keys are still very much going on. 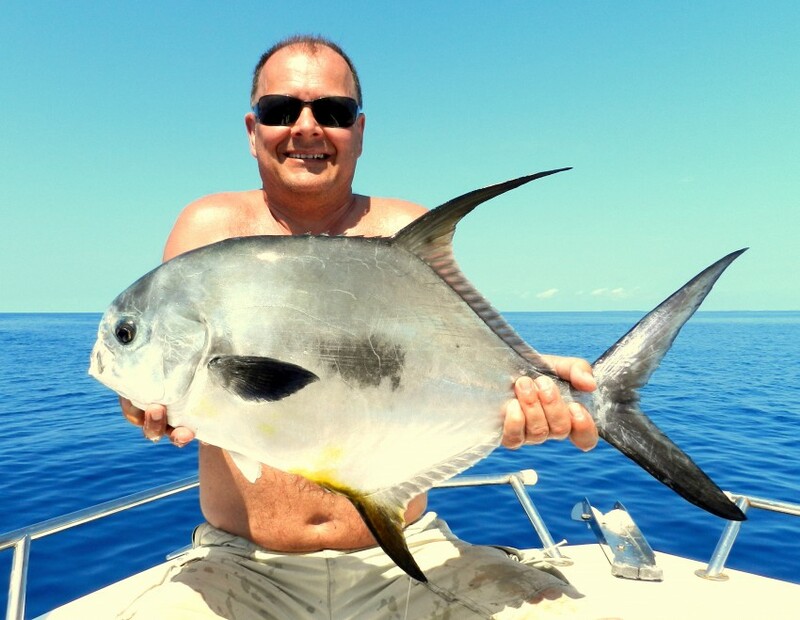 In fact as I wright this Capt Brent Kindell has a Fish the Dream party out all week the guys are from Glasgow and I am sure are having a blast. 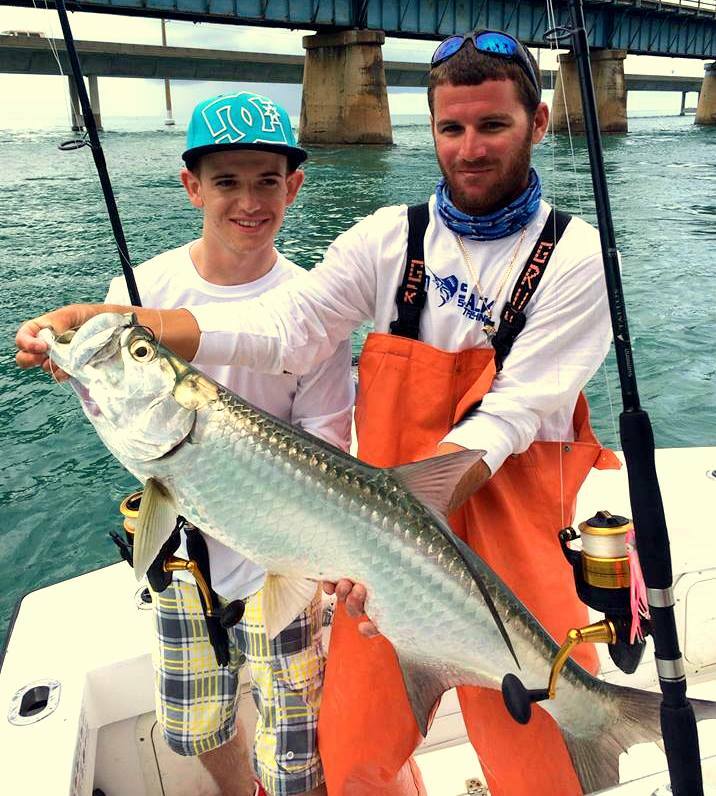 Strange as it may seem as this is day one of a long hurricane season we often have our calmest periods during the summer and if you avoid the heat of the midday then fishing can be fantastic so if you find your self in Florida this summer and even just have a few days or longer in the Keys please get in touch. 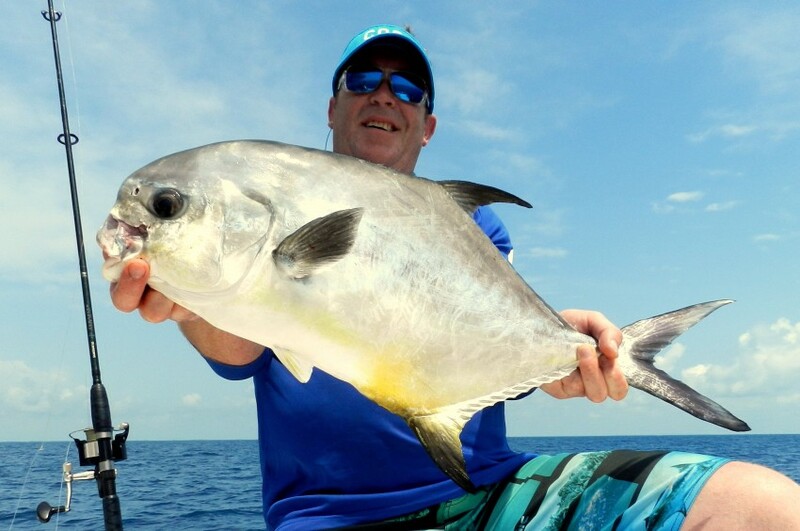 I have to thank the permit for saving many a day this year both on the deeper wrecks during the spawn and now on a wreck we have in Florida Bay in just 10 ft of water these fish just do it all. 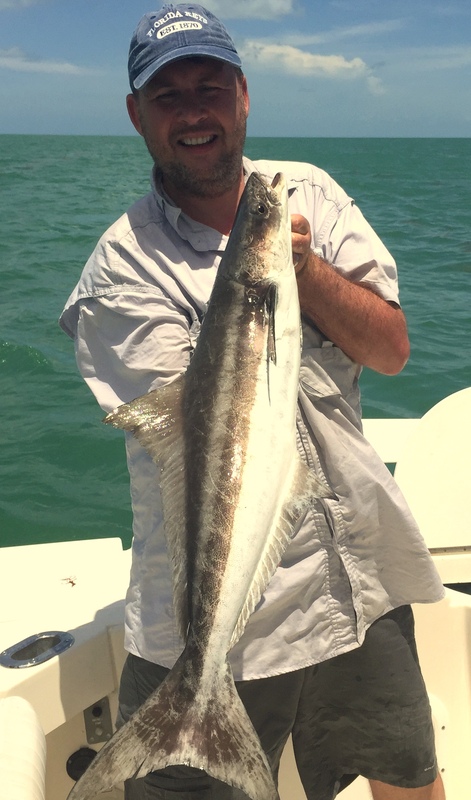 The power they get from that amazing tail is just so hard to describe you have to get a 20 lb fish to understand why these fish in my opinion are maybe the number 2 fish in the Florida Keys.